It can be a risky strategy, but choosing a specific day to consider offers can create a healthy competition for your home. It may stimulate interest without losing potential buyers. While you’ll want to be careful how you navigate this, it can work out well when it comes to bumping up the offers. Most counter-offers come with a timeframe that will allow those interested to accept the deal. However, consider adjusting this period to a timeframe that will work better for you. While you shouldn’t wait too long, a period of more than one day will tell the potential buyer that you want your home to be the right choice for them. The most popular time of year to buy a home is in the spring. This means that if you’re preparing yourself for getting into the real estate market, you may be experiencing a time crunch. If you’re ready to put your home up for sale in time to take advantage of the season, here are few things you’ll want to think about. Have You Cleaned Up And De-cluttered? Spring is not only an optimal time to put your home up for sale, it’s also an ideal time for spring-cleaning! Instead of leaving all of the de-cluttering to the time when you know you’ll be moving, prepare now by discarding anything that you don’t want to move. This will not only make your packing more streamlined, it will also make the basic cleaning duties like vacuuming and dusting a little easier to carry out. Are You Prepared To Move? 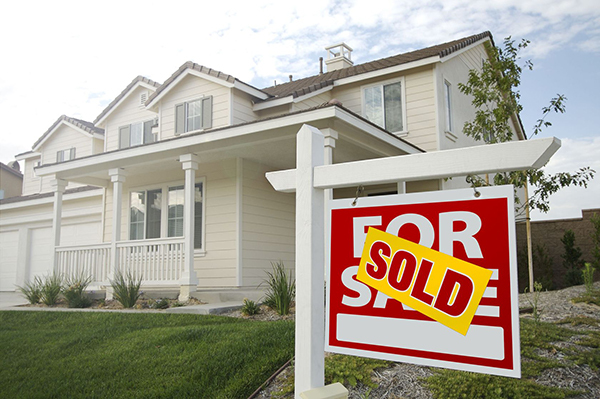 A home can sit on the market for a few weeks or months, and it can also sell on the first day. You’ll want to have a game plan for moving beforehand. Determine a plan for yourself and your family so that you can start looking for a home to invest in or at least rental property. You don’t want to lose out on a good offer by not being prepared. Make sure you know where you’re going before getting into the market. Do You Know The Market Conditions? Spring is certainly the most popular time to buy, but if your home isn’t priced right, it may linger longer than you’d expect. If you’re selling on your own, you may want to take a look at the MLS listings to determine what similar homes are selling for. It can also be a great idea to utilize the services of a local real estate agent. They will have background knowledge of the market and be able to do the tough negotiating for you. With spring being the best time to sell, it’s important to de-clutter your house ahead of time and be aware of the market conditions you’ll be dealing with. It’s often so exciting to think of buying a new home that homeowners forget about the sale. But there are a lot of details involved in putting a home on the market. Whether you’re just considering selling or you’re ready to put your home up, here are some things you might not know about the process. The days of putting a sign on the front yard and waiting for buyers are gone. It’s important to have a strategy that will successfully highlight your house. Whether you decide to make a website, use social media or invest in a professional photographer, ensure you’re prepared to put your home out there. The cold harsh reality of winter has settled in. And it can be hard to achieve a successful home sale at this time of the year too. But here are some staging tips that might engage potential buyers so you won’t have to wait much longer for an offer. It’s often the case that a home with neutral colors will show better because potential buyers can envision themselves in it. But there are ways to dress up neutral tones that will add spark. Instead of leaving your place too ho-hum, try punching up the color palette with a few bright pieces that will catch the eye. Whether you add a throw, some pillows, a vase or a vivid painting, this can be a simple way to create a lasting impression. The winter months can be a more difficult time to let natural light in, but few things will have a more positive impact on how your home shows than the lighting. A warm, homey space that is lit in a way that maximizes your home’s best features will be sure to make potential home buyers interested. In addition, good lighting will work to minimize any flaws that might be more visible in a less flattering light. It’s easy to get so involved in cleaning and de-cluttering your home that you forget about creating ambiance. Engaging the senses can have a very positive impact on potential home buyers. Instead of leaving this aspect to chance, you may want to bake something to create a pleasant scent or play music so that people viewing your home will stick around a little longer. Potential home buyers may not be aware of it, but engaging the senses can have an unconscious effect on the impression your home leaves. 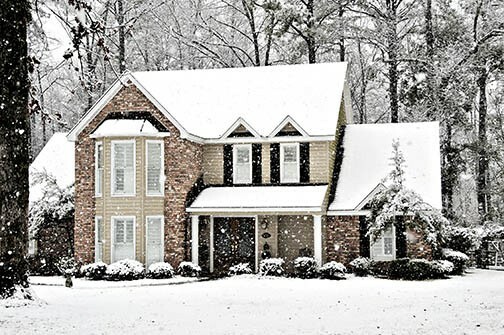 The winter months are not always the best time to put your home on the market, but it may just mean that you’ll need to put in a little more effort to make the sale. By engaging the senses and adding color to a neutral palette, you may just snag an ideal offer. Selling a home, especially one with sentimental value, is never an easy decision to make. There are many factors that go into determining if the home is ready to be listed and if the seller is actually ready to part with it. Answering some simple questions can go a long way to help you decide whether or not it’s time to sell. How Much Work Does The Home Require? Some houses and condos are ready to hit the market immediately, but others have serious problems that would need to be disclosed to interested parties. It may not be wise to try and sell until all major issues are repaired. What Is The Market Like In The Area? Have similar homes in the neighborhood been selling quickly for a lot of money or have they been sitting on the market for months with no buyers? You should look into the current market trends to determine how much you would be able to sell for so you don’t lose money on the transaction. Every city is different and the time of year can have a major impact on the market. A local real estate agent will have a strong comprehension of the best time of year to list the home, which could provide some valuable time to get it ready. Will You Be Happier In A New Home? Sometimes deciding to sell a home can become so overwhelming that people forget to ask themselves whether or not they will be happier in a new home. If the answer is a resounding ‘yes’ then there should be no question about selling. Should A Real Estate Agent Be Involved? It may seem easier for sellers to eschew the services of an agent to save a little money, but the nightmare that can follow without the assistance of somebody who has the time and experience to show and promote the home may not be worth it. Talk to local real estate professionals to see if there are any that feel like a good fit. If you have been debating selling your home but still aren’t sure whether or not it’s the right time, call us today. Many factors go into selling a home for the first time. Some can make it a stressful process, and there are a few things you should avoid for a successful sale. If you’re putting your home on the market and hoping for quick success, here are some common mistakes you’ll want to be sure to bypass. It’s entirely likely that there’s an amount you have in mind when it comes to selling your home. But it’s important that your asking price is in line with the market conditions and what’s being offered. Instead of winging it, check the local neighborhood listings and see what similar homes are selling for so yours won’t be left to linger. After you’ve put your home up for sale and have arranged an open house, one of the first things people will notice is the small repairs like paint chips or loose doorknobs that haven’t yet been fixed. Instead of letting this negatively impact the offers you’ll receive, complete the little fix-ups before you schedule your open house so potential homebuyers are not turned off. There are so many avenues for selling a home these days that it can be hard to know which way to go. However, it’s best to consider all of your options and utilize social media to widen the audience you’ll attract. Keep in mind that if you’re investing in a website or brochures, it’s important to hire a good photographer to show your home in its best light. Hitting the market on your own can be rife with a lot of questions, so as a first-time seller you may want to consider the services of a real estate agent. It’s just important to ensure that the person you choose is qualified and has experience in your community so they can steer you in the right direction and offer helpful advice. Selling a home for the first time can be a stressful thing. But by utilizing the right agent and having reasonable expectations, it may be off the market before you know it. 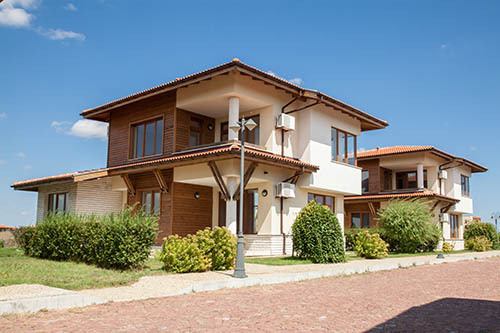 It’s likely that your house is your biggest asset, so when it comes time to sell it you’ll want to do everything you can to maximize your profit. Good news: The value of your home isn’t solely determined by the market. There are several ways you can increase its value by making upgrades before listing. Not surprisingly, the number one way you can increase the value of your home is to add an income suite within the property. If your home has potential to earn buyers’ money, it will inevitably be more valuable than a property that doesn’t have any potential cash flow for the owner. Whether it’s a basement suite or a floor that’s been made into a separate “home”, income units are a huge bonus for buyers. Kitchens are often the first area to become dated or worn out within a home, and they’re the most important part of the house when it comes to valuation. Make sure that your cabinets and countertops are updated before selling. Modernize the design with neutral fixtures that are current yet adaptable to many tastes. Having a fresh kitchen shows both function and fashion to buyers. After all, no one wants to see rusty old appliances and dingy lights when walking into the focal point of a home. Besides the kitchen, bathrooms are the second most important aspect of a home when it comes to valuation. 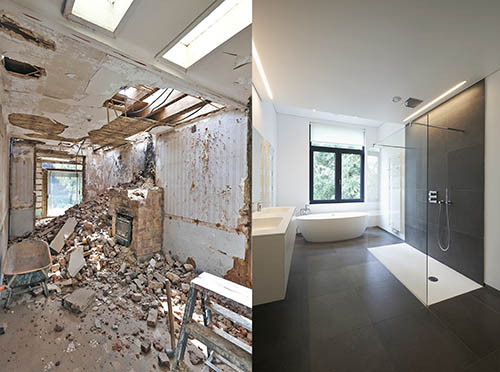 Having multiple bathrooms within a home automatically increases its value significantly. Ensuring that your bathrooms are leak-free, look meticulously clean, and have a modern design is a fantastic way to make sure that buyers will be impressed during an open house. Bonus tip: if installing a new toilet, consider purchasing one that is eco-friendly with dual-flush options. As people become more and more environmentally conscious, fixtures such as these will cater to a broad spectrum of lifestyle values. If you’re ready to prepare your home for sale and are looking for more ways in which you can maximize its market value, contact us today. Curb appeal, or how your home looks from the street, is an essential part of preparing to sell your house. It’s also where comparison with your neighbors’ homes is inescapable which poses a problem if you’re both on the market. 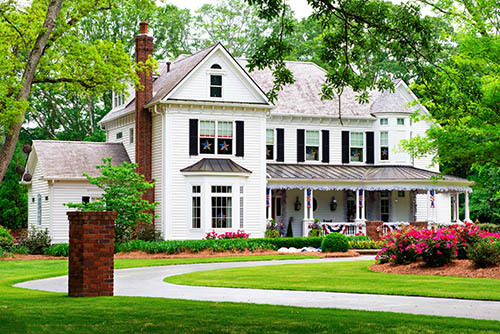 Read on for five ways to boost your own curb appeal. In most homes, the external facade is taken up largely by the garage door. This is a big influence on how people see your home. Embrace that. Style your garage door to suit your home, touch up the paint or trim, or even do a full overhaul with a brand-new door. Not only is a symmetrical design visually appealing, it’s also quick and easy to do. If your home doesn’t allow for large symmetrical designs because of its structure — if it has a garage on one side, for example — focus on specific elements. Consider the front door where fixtures are easier and cheaper to update. A great way to attract buyers is to think like them. And what search-weary buyer doesn’t enjoy a moment to relax? Arrange an aesthetically pleasing seating area outside your home. It will become a welcoming space that can offer buyers the chance to sit down and dream about owning your home. A clear and attractive walkway is also very inviting. Be sure to spruce yours up or install a whole new one to, literally, lead buyers to your door. Put a little of your home’s personality out front to attract the interest of like-minded buyers. Weather-resistant art pieces are a great way to accent your lawn or entrance. Consider the welcoming sound of wind chimes or a sculpture or two. Even birdbaths can provide simple but effective artistic highlights. When you’re close to your home, it can be hard to view it as critically as a possible buyer. This is an essential step, though, in creating effective curb appeal. Consider getting another person involved. Someone who can look at your home objectively and provide a clear assessment of your home’s strengths and weaknesses. It’s important to remember that when a home is put up for sale it should appeal to as many people as possible. 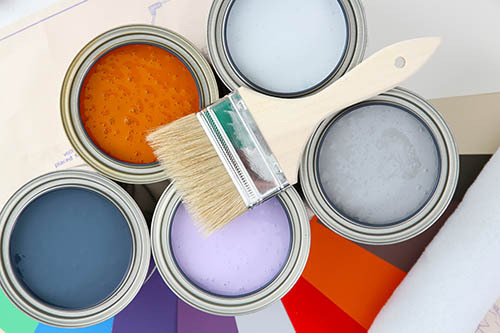 Sometimes those flashy paint colors you grew up with will not charm new buyers. If you own a house that has a lot of brick, stone or wood should take a moment to browse through some earth tones to accent the room. These colors, while still neutral, are found in nature and accent the natural surroundings of the room. Sienna and umber are two popular choices. Curb appeal is the first impression that your home will have on potential buyers, so it’s important to make it a good one. Try these simple budget upgrades to give your home the “WOW” factor that buyers are looking for! As simple as it sounds, it is extremely important to make sure that your house is nice and clean on the outside. This is overlooked by sellers more than you’d think as they become so focused on perfecting the inside of their home that they forget about the exterior! Dirt streaks running down stucco or siding give the impression that your home isn’t well kept, and smudges on windows will prevent them from sparkling in the sun. Remember: you want your home to be their dream home. Spruce up the outside to impress buyers before they even set foot in the door. Another important design feature of your outer home is the front door. It is one of the only features of the exterior that buyers will be forced to look at up-close. A new door will not only look great from the curb, the details of its quality will inevitably be seen by anyone who enters. Make sure your door is in tip-top shape before you start your showings! If your roof isn’t in good condition, then upgrading it is an absolute must. Most buyers are quickly turned off when they see a roof that’s in poor condition because it can be an expensive fix. It’s important when buyers first see your home they don’t see more dollar signs than expected. Patio furniture is an easy and inexpensive way to differentiate your home from the rest. Add a pop of color to a neutral-colored house by placing vibrant chairs and planters on the front porch as featured pieces. Or add a cute table and chairs to your lawn to show how useful the space can be. That being said, be careful not to overdo it. Too much patio furniture or potted plants may give the illusion that your home is cluttered. This is a major no-no in the real estate world. What other inexpensive curb appeal upgrades can you recommend?